This is one thing that I had learned after joining Postcrossing. 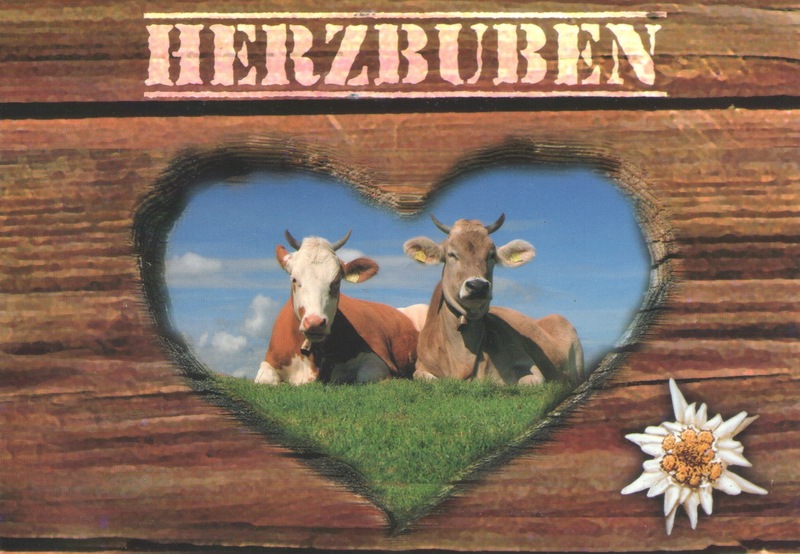 There are a lot of people on there who love postcards with cows. I do not understand the fascination with cows. Cats and dogs, yes. Hamsters and even hedgehogs? Yes. All animals in general? Okay. But cows? One or two people, I understand, but it’s really confusing when every other swap partner you get puts “cows” under their list of interests. I worked with cows for a little bit as a graduate student. I can say that I’m probably one of the shrinking number of Americans who can actually milk a cow. (I’m an extremely unlikely person to even have this skill, but not as unlikely as, say, someone who might be in the top 1%.) Cows are smelly and dirty (and yes, I’ve also seen them at county fairs–but they’re washed and groomed deliberately for judging) and recalcitrant, if they’re feeling nice. I don’t hate cows, but I wouldn’t put them on the top of my list of cuddly fluff balls either.